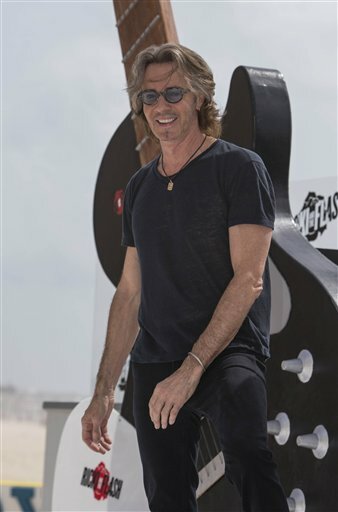 I’ve spent a few evenings with Rick Springfield over the past couple of weeks. Although it’s been a one-sided conversation – him reading his audiobook on a CD and me listening to it as I cook and wash dishes in my kitchen – it’s been enjoyable nonetheless. I already read his memoir, “Late, Late at Night,” but I just couldn’t pass up the opportunity to listen to him read it, too. I wonder what it was like to record all those hours of intimate details – I’m guessing it was a rather emotional, yet cathartic experience. I really admire his honesty in what he revealed – what a life he has led! After I started listening to his book, I’ve also been curious about my fascination with this man. What makes a person feel a connection with somebody they don’t know and what has made it last so long? I pondered this concept over the past couple of weeks and wrote this song. It has a melody but my guitar playing is rusty so I’m just including the lyrics here. Does he post them himself? Though I lowered the volume when my kids were around. It’s like I’m 13 again. 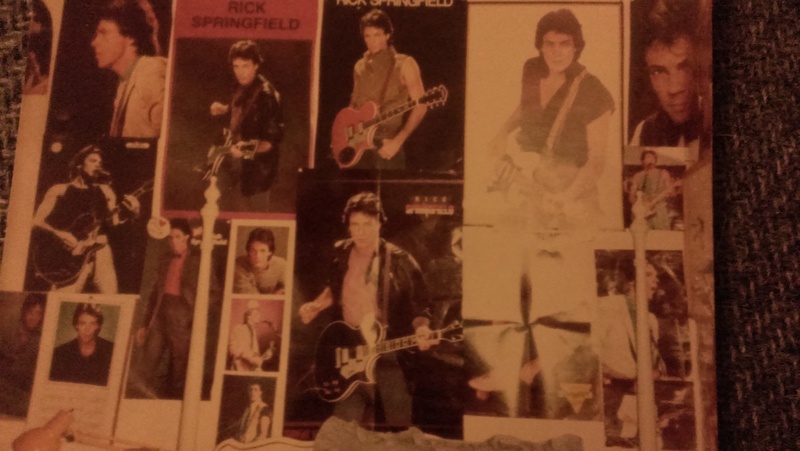 A wall in my bedroom, circa 1980s.